Geneva- The past few years have witnessed a dramatic increase in the number of unaccompanied and forcibly displaced children around the world due to internal conflicts, escalating migration crises, growing poverty and social oppression, the Euro-Mediterranean Human Rights Monitor says. At present, there are millions of refugee children, including tens of thousands whose whereabouts remain unknown, and many are subjected to persecution, sexual exploitation and human trafficking. Statistics from recent years, including those of United Nations agencies, reveal that there are more than 28 million forcibly displaced children around the world. Further, this comes in light of the lack of real numbers of refugee and displaced children, as UNHCR is only acquainted with 56% of the refugees under its mandate. Numbers of refugee children outside their own countries as well as internally displaced persons in 2018 reached more than 37 million children. The United Nations Children's Fund - UNICEF - had published statistics in 2016 stating that there were 12 million refugee or asylum seeker refugees in the world. On the other hand, it's estimated that 23 million children are internally displaced, of whom 16 million are displaced as a result of conflicts. However, the real number of children who have been forced to leave their homes remains unknown and is likely to be much higher than the estimated figures due to gaps in reporting and data. Children who cross the border illegally often face risks of detention, violence and exploitation, as well as denial of access to essential services, such as education and health care. Hundreds of children have died as they pass the dangerous roads of illegal immigration, such as those who drowned in the sea or lost their way in the desert. These deaths are often not counted or reported on a regular basis. In late 2016, statistics by the European Police Office, known as Europol, revealed that 27% of a million arrived in Europe were children. According to Europol, at least 10,000 refugee children are registered after arriving in Europe with many feared to be exploited and sexually abused or exploited in the black market. It is also believed that 5,000 of these children disappeared in Italy alone. "We can not say that every missing child is a victim of smuggling gangs or human trafficking. Many children, especially in Italy and Greece, consider these countries merely a corridor for other countries in Europe, and thus once they're registered in a country, they leave to another without reporting. Eventually, they become registered as missing,” said Ihsan Adel, Legal Advisor of the Euro-Med Monitor. "At the same time, it is certain that there are trafficking gangs targeting mainly children, as well as dozens of unknown routes used by refugees and migrants. With States and official agencies' failure to collect data, the fate of tens of thousands of these children remains unknown, who subsequently become untraceable," added Adel. Euro-Med Monitor’s team has recorded hundreds of incidents of children fleeing their shelters as a result of the deep psycho-social pressures they have been subjected to, or denial of asylum or reunification with their families elsewhere in Europe in light of the lack of childcare. The situation of refugee children in the Middle East is no less dire. Many refugee children are either forced to hide their identities or enter the local labor markets, where they are exploited as cheap labor. 700,000 refugee children are trapped in Jordan. Another 500,000 refugee children are living in Lebanon, 375,000 of them are out of school. 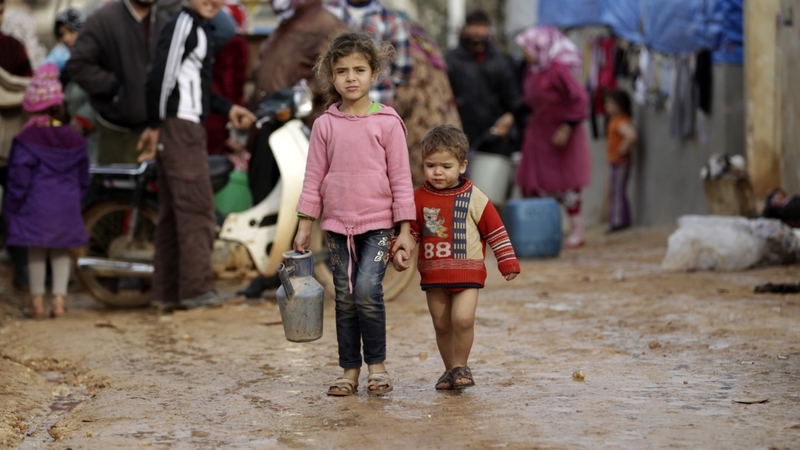 The estimated number of refugee children from Syria working in Jordan is at least 60,000. Local estimates indicate that 60-70% of Syrian refugee children in Lebanon are forced to work. According to the International Labour Organization (ILO), more than 85% of them work in very dangerous conditions. Children must be given enough care and attention by doing what is in their best interest and sparing them the repercussions of wars and conflicts, said the Euro-Mediterranean Human Rights Monitor, calling on all countries receiving refugees and migrants to address the acute lack of information, and to provide detailed and reliable data on the millions of forcibly displaced and fleeing children. Euro-Med Monitor further said that both the European and countries from which migrants and asylum seekers originate are responsible for combating smuggling and trafficking gangs who abuse these children, and exploit them sexually, or enslaving and exploiting them in drug trafficking. Euro-Med Monitor also stressed that each country should provide education and healthcare to refugee children and migrants as one of the fundamental and indispensable rights, and to combat the spread and exploitation of child labor.